When I first heard about this beer I did not know what to expect. After reading some of the information out there about it I was still left wondering: what is it? 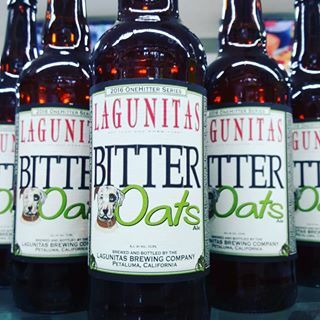 With the ongoing success of the Lagunitas One-Hitter series, we decided to take a chance on it here. What surprised me at first about this beer was the way in which it poured. A dense head topped this beautifully golden beer that had great clarity and a richness that you could almost see. Carbon dioxide bubbles lazily rose to the surface as if they were almost struggling against the density of the liquid. Tropical fruit aromas are overwhelming and hit you again in the flavor before a bold hop bitterness strikes your tongue and spreads outward until it’s coating the entire inside of your mouth. It definitely has a lot of that residual sugar that provides a sweetness I’ve come to know and love in lots of Lagunitas brews but be warned: if you plan to sample this beer with others make sure it is the last one you try because it will simply dominate the flavor profiles of other beers. A couple of beers from Exile are making their return to the tap lineup today including their year-round berliner weisse Beatnik Sour, and Hannah, a bavarian wheat. Also making another return is Stone Go-To IPA which is taking the place of Delicious IPA. The first quarter of 2016 should be pretty exciting with new entrants to the state which include Odell Brewing Company, Avery Brewing Company, and Firestone Walker Brewing Company. All three of these breweries put out consistently great beer and should be welcomed with open arms to the state of Iowa. 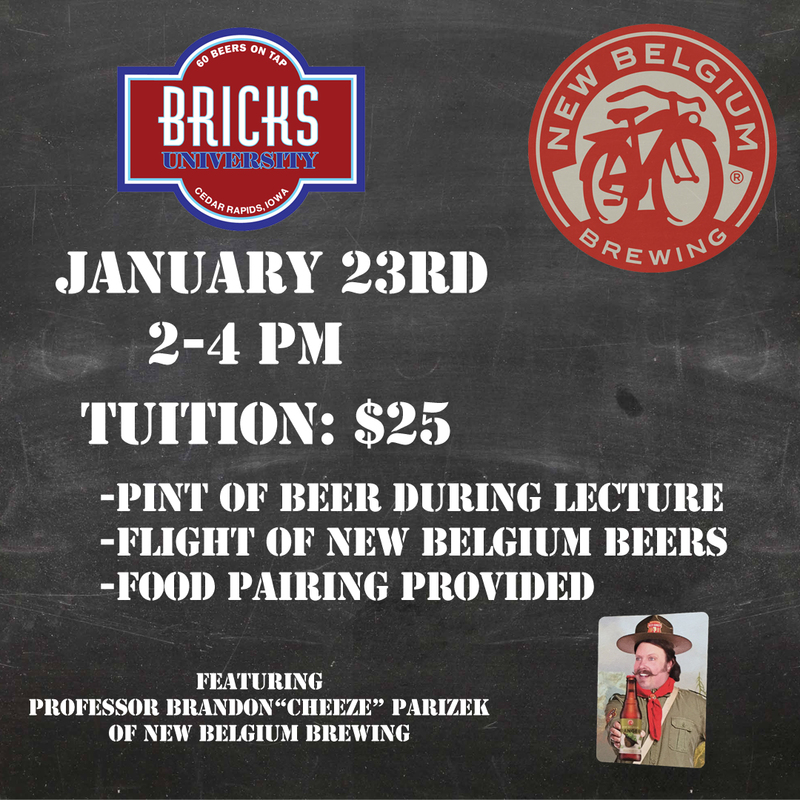 You can now sign up for the first class in our upcoming Bricks University Series! The first class is called HIST 101: Beer through the Centuries and will feature Brandon “Cheeze” Parizek of New Belgium Brewing Company. Tuition is $25 and includes a beer during the lecture, a flight of beer during the styles lab, and some awesome food pairing creations from Chef Brian. Class is on January 23rd so move fast! That’s about all I’ve got for today, if you’re around the area this weekend stop in and say hi. Stay warm and stay safe everyone.